Cebu to Puerto Princesa or v.v. Cebu to Legazpi or v.v. Cebu to Boracay (Caticlan) or v.v. Cebu to Coron (Busuanga) or v.v. Manila to Laoag or v.v. Clark to Cebu or v.v. Clark to Cagayan De Oro or v.v. Davao to Siargao or v.v. Davao to Zamboanga or v.v. Davao to Tagbilaran (Panglao, Bohol) or v.v. Iloilo to General Santos or v.v. 2019 Blackout Dates Summary: OUTBOUND: Manila/Clark/Cebu/Davao/Iloilo: Apr 16-18, May 9-11; Kalibo: May 1-2; Tacloban: Jun 28- Jun 30; Puerto Princesa: Jun 23-25; INBOUND: Manila/Clark/Cebu/Davao/Iloilo: Apr 21-23, May 13-15, Kalibo: Apr 29-30 ; Tacloban: Jun 20-28; Puerto Princesa: Jun 20-22. 4. Tickets are rebookable for a fee of PHP2,500 inclusive of 12% VAT. Collect applicable fare difference. 6. 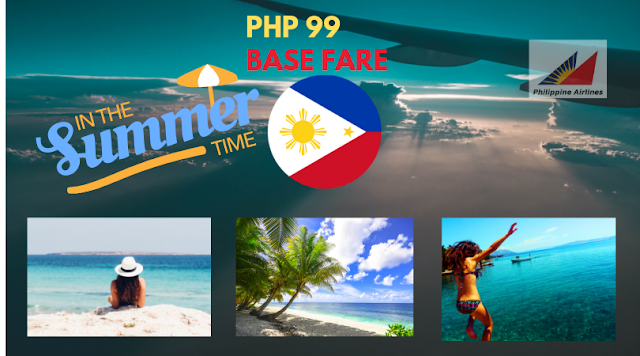 Peak Surcharge of PHP400 from/to Manila-Mindanao and PHP300 from/to Manila-Luzon/Visayas and PHP100 for Interdomestic flights for travel Apr 22 - May 31, 2019.